CLEVELAND (AP) — Cleveland Cavaliers guard Dion Waiters was active Thursday night against Atlanta after missing three games because of tendinitis in his right wrist. 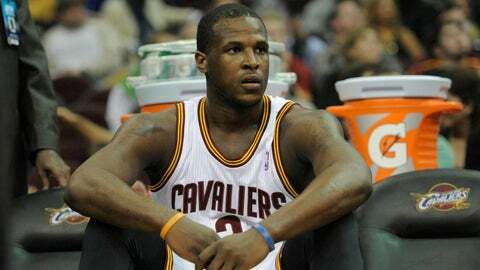 Waiters said before the game that the wrist has been bothering him for two weeks, causing swelling and discomfort. He said he’s still experiencing pain, but felt he could play after participating in shooting drills about an hour prior to the game. Waiters wore a pad to support the wrist. The second-year shooting guard is averaging 14.9 points. He hasn’t played since Dec. 17 when he scored 25 points in a loss to Portland. Waiters, taken with the No. 4 pick in the 2012 draft, has been coming off the bench for the last month since C.J. Miles was moved into the starting lineup.